With all the changes going on in Durham, how does this change the branding efforts for the city? 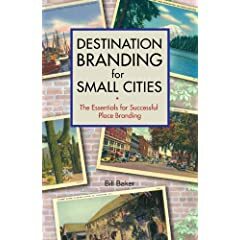 There is so much to keep track of already, then throw in all the organizations with their own efforts to market the city and county. How do you navigate the mixed messages? At what point do you try to call together all the voices to sing from the same song sheet? Actually Durham went through and agreed upon an overarching branding process. Its written up in the book as a best practice. Even though DCVB is the only messenger fully marketing Durham, the overarching brand was evolved to help all other messengers sing off the same sheet music. The Chamber and DDI did varying levels of a process to brand their organization but those aren't brands for Durham. And even organizational brands like those must be far deeper than a logo and a tagline to be a brand.